Barcelona is full of charm and beauty in its surroundings, but if there is an area that stands out as a potential tourist destination that is the Costa Brava. How can we organize a break from our Barcelona apartments to the best villages and corners of the Costa Brava? The most accessible village on the Costa Brava if we come from Barcelona is Blanes, the first village of this famous linear coast. The R1 train line has its final stop in this summer town. In just an hour and a half we can reach the Costa Brava from our apartment in Entenza Street. Blanes has very famous hiking routes to the north, which represent the main attraction as a village of the Costa Brava. You can take a walking path that surrounds the beautiful botanical set of “Pinya de Rosa” and which brings us closer to Lloret de Mar, a powerful tourist destination since where we can take a bus back to the Estación del Norte of Barcelona in just two hours, perfect if we set our Barcelona apartment for holidays in El Born. But it’s not the only surprise that this area provides for the visitor, the nearest and accessible from the recommended visit to the city of Gerona. Just 10 km inland lies Pals, one of the best preserved medieval towns in Spain, and a little further north we found L’Estartit, starting point for visiting the Medes Islands, diving first port to enjoy a wonderful and incredible seabed. If we are of those who venture to discover each area in depth, and we like driving, we should rent a car and reach the end of the world if it’s necessary. In three hours we can be in the beautiful village of Cadaques, an inspiration for Dalí and full of Mediterranean essences. 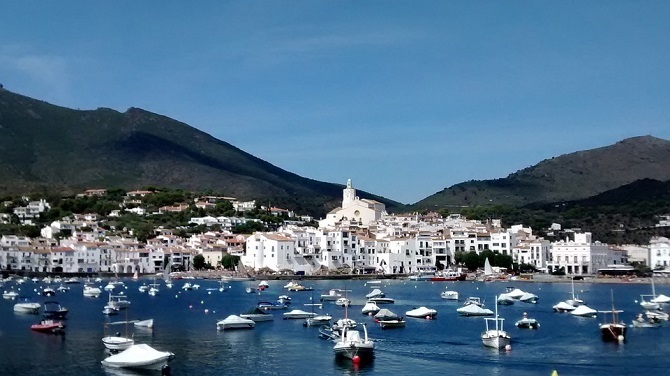 Located in the Natural Park of Cabo de Creus, Cadaqués is hidden behind pine trees and steep cliffs. The visit is therefore a treat for the eyes and for all the senses: highly recommendable despite the endless curving roads through which we have to drive. 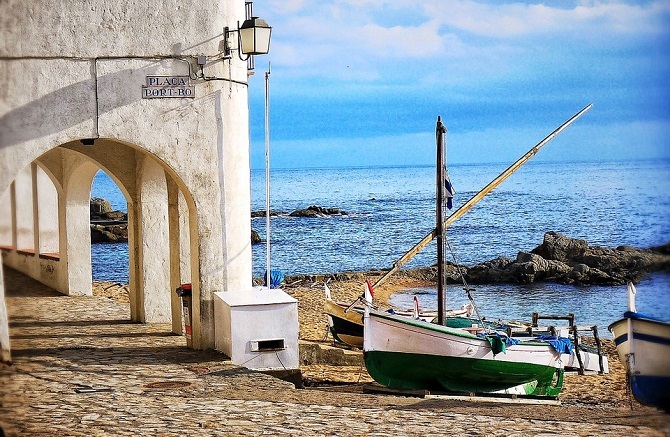 Calella de Palafrugell is perhaps the most accessible village from Girona town, and it can be reached in just two hours from Barcelona by train and bus. To its fishing charm, whose heritage can be seen at low beachfront with artisan houses, the Festival of Cap Roig throughout the summer is added, where we can see national and international top artists performing in the gardens of the castle that gives name to this series of shows. 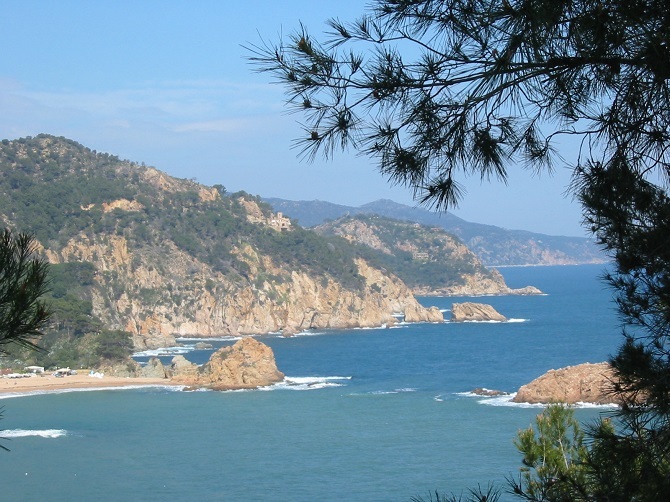 Both the Costa Brava and Barcelona are perfectly connected, either from the capital by train, bus or car with times of around 2-3 hours, or moving us in an hour, hour and a half to Girona by train, from where in just half an hour we can reach the main points of the coast. 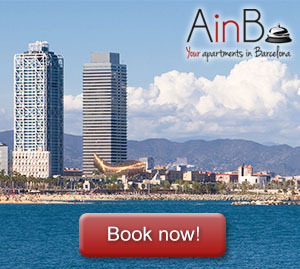 Do not miss the opportunity and make the most of your Barcelona apartment for holidays visiting some points of the Costa Brava. You will not regret!